This step mainly involves you, the customer. You have numerous questions to answer and information to gather in this phase. Every website must have a goal or purpose. Define the goal of your website. What is your target audience, what do they want and what will make them return to your website. What ways can be used to bring in new visitors and have visitors return. Page text. Who will write or provide the text for each page in each section. Basic pages usually include about the company, how to contact the company, products or services of the company. Company Logo and possibly company slogan. Any images or photographs of products or to enhance page layout. What content needs to be updated to keep the site current and interesting. Do your research. Visit as many websites as you can particularly ones of competitors or sites that are doing or have similar products to yours. Make notes of what content they include that you think you need, what you like about their site, what you dislike about their site. Pay attention to color schemes, layouts, navigation, content presentation and note what you like and dislike and why. gather a hard copy of promotional materials you currently have including brochures, business card, photographs, catalogues, company logo, written materials, etc. gather a digital copy of promotional materials such as text files, digitized company logos, images, photographs, etc. This is the phase that your web design company becomes involved. Using the information that you have gathered in step 1 the site map for the website is designed along with the layout for the pages. Using what you liked and disliked about other websites the page layout, the look & feel for the website and the site navigation is designed. Working with you we design you an awesome looking site which is fully responsive for desktop or mobile devices. A few pages are built with the designed layout. These pages are uploaded to a test website for you to evaluate and provide feedback. Your feedback is used to go back and make changes and steps 1 to 3 are repeated until you are satisfied with the website layout, look & feel and site navigation. Using the text that you provide the rest of the website pages are implemented. Pages are uploaded to the test website for evaluation and feedback. Changes are made based on the feedback and steps 4 through 6 are repeated until you are satisfied with the website and give final approval. The website is uploaded to your web server ready to go live. You will be trained on how to use your new website so you or your staff can update it. Submit your website to major search engines. Add your website and email address to all your promotional materials, correspondence and advertising. Send announcements or initiate other advertising of your website. Use other ideas to bring visitors to your site such as promotions, contests, joke of the day, etc. Keep your information on your site up-to-date and provide new information as it comes available. 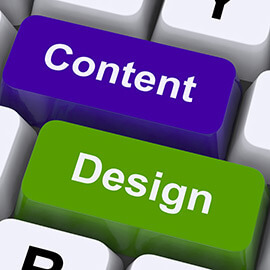 Websites need to have fresh content in order to entice visitors to return. Remember that your visitor is only one click away from leaving your site, so what is going to make him stay on your website. Have reasons for new visitors to visit your website. Continue to check search engine rankings and make changes to pages that are not ranking well anymore. Continue to actively promote your website. Keep your website secure with regular installation of security and software updates. Still have some questions, see our Frequently Asked Questions page. Ready to get started, contact us for a free initial consultation.